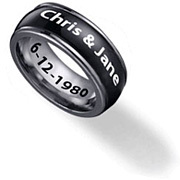 Personalized name rings come in all shapes and sizes, but most importantly, they come with your name or the name of your beloved, your family, or your friend. 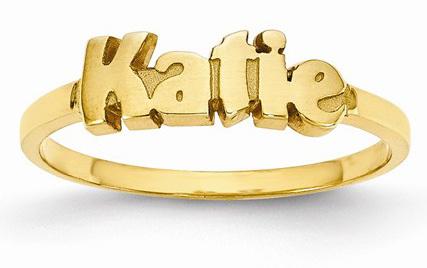 Each name ring from Apples of Gold Jewelry is uniquely personalized and crafted in either fine gold or sterling silver. 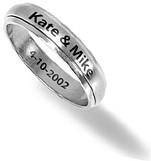 See our collection of custom name rings below and get started customizing your ring to have your jewelry delivered via FedEx or UPS straight to your door, with no hassle. All jewelry purchases also include free shipping!